Is there a difference between data providers? What questions should we ask data providers when evaluating them? What other best practice advice can Mark provide for selecting data providers? Is it time for a new role in marketing called the Data Operations Manager? What do demand generation priorities look like at various stages of a company lifecycle? What’s the tenure of a CMO in a startup versus a more mature organization? 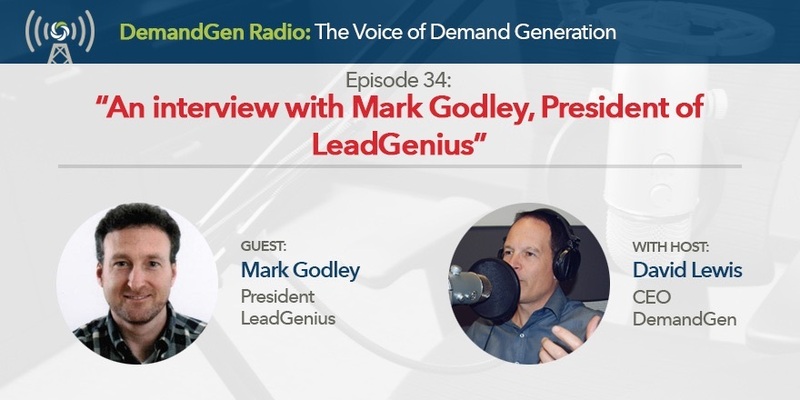 What are some of the changes Mark’s bringing about at LeadGenius?